Softgels On Sale! 40% Off! Home/Uncategorized/Softgels On Sale! 40% Off! With summer winding down, school season (and supply shopping) on the way and the weather getting more rainy, it’s the perfect time to start getting stressed and achey. Wait, that’s not what you were hoping for this season? Don’t worry, we have something that can help! 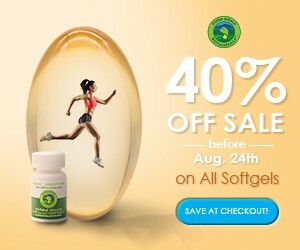 We’ve just put our Softgels on sale, at 40% off! Our softgels are one of the best tools for getting through a tough day, or feeling your best during a really wonderful one. What makes them so awesome? Read on! Using cutting edge extraction technology, our softgels are cleanly produced and specifically manufactured to derive the most benefits for a variety of uses. They are non-psychoactive, offering a safe and natural way to supplement your daily wellness routine. All-natural Hemp CBD Oil Softgels are made from a carrageenan-based gel matrix, derived from red seaweed. They contain no animal products. Like all of our Pure Hemp Botanical products, they are vegan, cruelty free, non-GMO and carefully made with your health in mind. 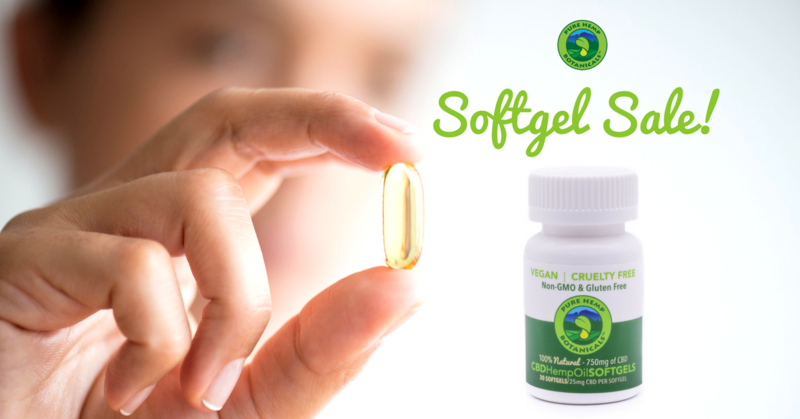 Our softgels offer superior stability because they are completely sealed and airtight. As an added advantage, they are leak-free and have a long shelf life. With the help of essential fatty acids, hemp oil supports biological processes and is shown to help prevent a number of degenerative diseases. Derived from 100% industrial hemp, these CBD oil softgels deliver the benefits of the hemp plant in a convenient, consistent dose. Our quality control procedures ensure consistency from one softgel to the next, yielding reliable and predictable results in every batch. Don’t wait! Enjoy this amazing sale while supplies last, and get stocked up for the change in season!